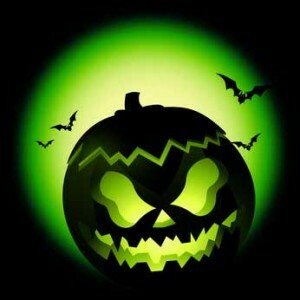 When one considers the types of materials used for masks, costumes and halloween decorations it is difficult to associate halloween with eco friendliness. One also has to consider what tends to be chucked on bonfires and the noise pollution which has shattered the nerves of many family pets over the years. Be creative and make your own halloween costumes by reusing old materials from around the house. Get the kids involved in the design process and save some money in the process. If you are time restricted charity shops can be a good place to pick up a halloween costume. Ask yourself do those cheap plastic black and orange decorations really look good? Think of it they all end up going to landfill! If you are buying them make sure to store them away and so you can use them again next year instead of buying more. Ideally though you should use natural products such as pumpkins to create your seasonal decor but don’t throw the inside of the Pumkin after you have hollowed it out. Instead make some delicious homemade pumkin soup or google pumkin recipes to make something you havn’t tried before. Pumpkin pie anyone? When the trick or treaters come calling hand them out some organic or natural treats. Halloween is a celebration of harvest season after all. If sending the trick or treaters out from your home make sure they are accompanied by a reuseable bag to carry the goodies. Creating your own trick or treat bag out of old pillow cases lying around the house could also be an innovative approach. It is important when out and about on dark halloween winter evenings that you are appropiately dressed and lighted. When it comes to lighting there are many solar, shake and wind-up solutions that will never require replacement batteries. 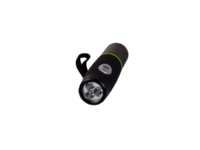 Consider a Wind Up Flashlight, a Shake Flashlight or perhaps the Solar Powered Baglight. Keep safe and enjoy the ocassion. Just bought a radfan and can not believe the output from system ,fans very silent.Also bought some ecobulbs and house looks bright at last.